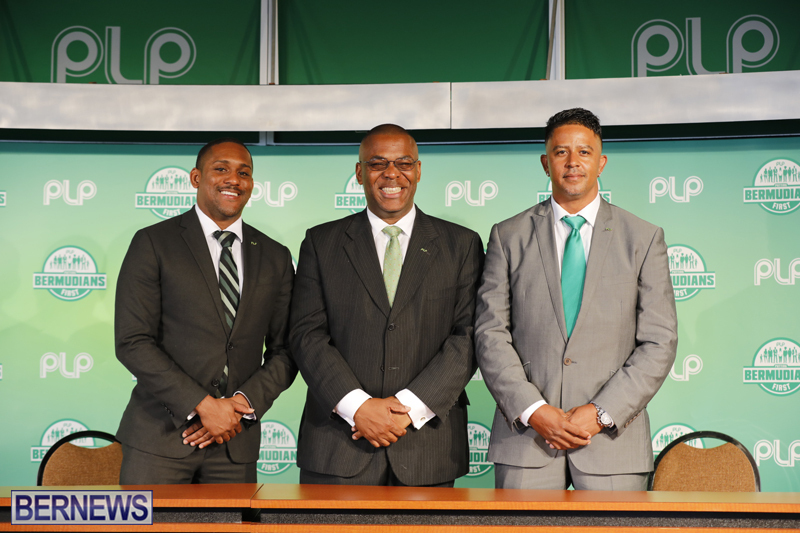 The PLP is holding a press conference today [May 8] where they are expected to announce their by-election candidate for Constituency 22 Paget East. The by-elections — which will be held on June 7th — were prompted by the resignations of OBA MP Dr Grant Gibbons who represented Paget East, and OBA MP Jeff Baron who represented Warwick North East. Since the one MP system was implemented in 2003, Paget East has elected Dr Gibbons four times, twice as an OBA MP and twice under the UBP, with the margin of victory ranging from 63.94% to 80.63%. 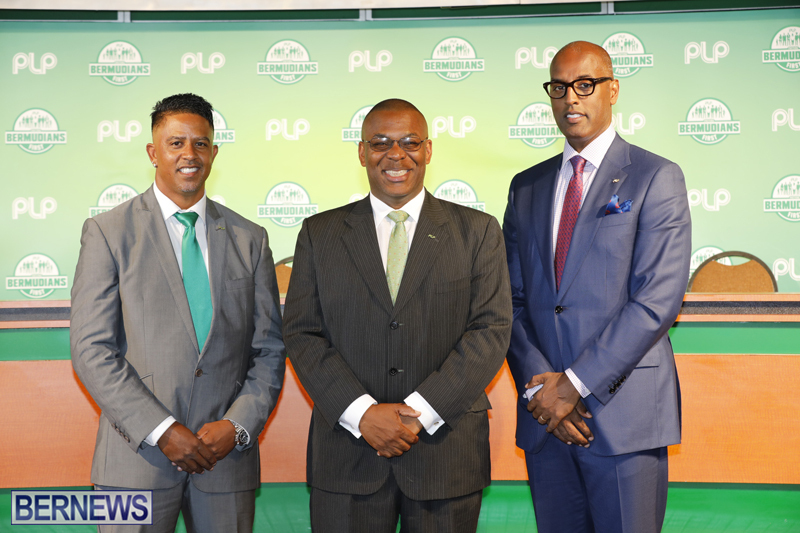 In the 2017 General Election Dr Gibbons won 63.94% of the vote vs the PLP’s Curtis Richardson, and in the 2012 General Election Dr Gibbons won 74.20% of the vote vs the PLP’s Dawn Simmons. In the 2007 General Election, Dr Gibbons, running under the UBP, won 77.33% of the vote vs the PLP’s Davida Morris and in 2003, Dr Gibbons won 80.63% of the vote vs the PLP’s Delaey Robinson. This is the second candidate to be announced by the PLP, who confirmed last week that banking executive Curtis Dickinson would stand in Warwick North East. The OBA has not yet announced their candidates for the by-elections. Update 3.15pm: The PLP announced that Curtis Richardson will be the candidate for the Paget East by-election. Mr Richardson ran in the area in the 2017 General Election, which saw Dr Gibbons defeat him with 63.94% of the vote. We will have additional information later on. Ah well, someone had to go ahead to storm the beach at Dunkirk. My money is on the fella Nick Kempe, good guy, assuming Party Leader Atherden accepts she doesn’t actually make decisions. They all look just soooo enthused to be there ! SSDD,always the same with plp. Well, Curtis. You are familiar with the issues. ALL THE BEST. I do not fancy his chances since July 2017 the plp have done nothing that they promised apart from a couple MOUs from a dubious (at best) sector. The euphoria has worn off pretty darn quick and word on the street is we made a mistake. Seniors and workers got a raise. The taxpayer pays for that you robot. What have thet DONE to improve our economy? We sure did make a mistake. They have done absolutely NOTHING for the people. Still living off of the greatness OBA. Keep on keepin on boys we will see who has the last laugh. OBA staff leaving like Trump staff. What a lie!!! People are not saying that on the street. The govt has rarely been confrontational. The Govt has a methodical plan that is gaining traction. So stop lying when you sit there with a suicidal opposition that blows up every 12 days and you say nothing. Shame on you wahoo. Any reports on the bus schedule. We building a new shelter on Crawl Hill to replace de one dat EB built out of plexiglass so de voters will have dry place to wait and wait and wait. For all to see Wake up from the dream you obviously do not pay close enough attention. Good night!!! Well done to both of you for taking up the mantle. The swift announcement of your candidacy is in stark contrast to the recent OBA video where MP Atherden appears to be begging for candidates to come forward for the ‘red team’. Then you should be cheering for Atherden as she will help you lot realise your dream of being a one party state with only one segment participating in our local politics. Your utopia is almost realised, so please top with the faux concerns about the Opposition. They have managed to do a few things. They halved the trash pickup service, so now there are piles of trash in the street all the time. They cancel 85 buses a day. Every day. They took 4 months to get one new bus ‘ready for the road’. They bought themselves new GP cars. That was done immediately. No waiting 4 months for those. Dont forget the across the board pay raises for everyone ! !